Google Cloud Storage is a Google service which is suitable for large scale data, big data applications, and backups. 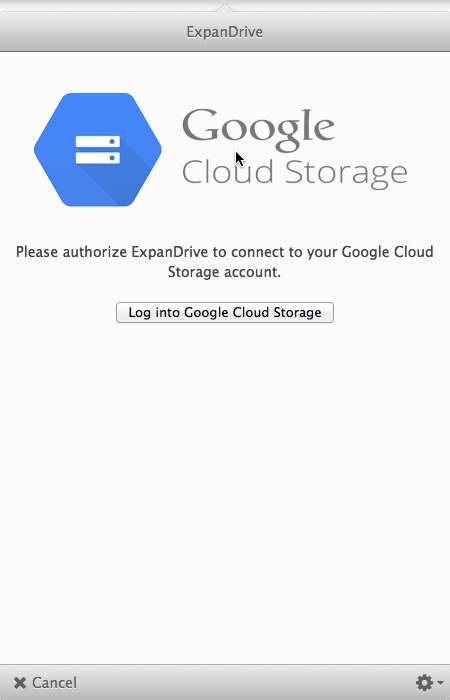 You can use ExpanDrive to connect to your object storage cloud powered by Google. You connect to Google Cloud Storage using your Google credentials. ExpanDrive gives you the opportunity to connect to your Google Cloud Storage using a familiar file browser interface native to your OS. Click on Google Cloud Storage. The Google authorization screen is displayed. You can then sign in to your Google account. 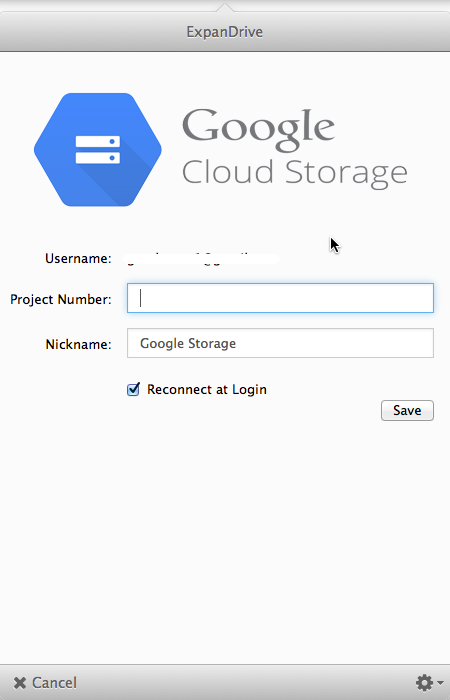 After you accept the terms and login to your Google account, the cloud storage configuration screen is displayed. username username for your Google account. project number Project Number associated with your Google Cloud storage Project. drive letter drive letter that you would like to use to connect to the Google Cloud Storage service.